This is for making a single donation to Health Wyze Media and Sarah Corriher's video project. The charge will appear on your credit card statement or bank statement as "HEALTH WYZE MEDIA". Thomas and Sarah Corriher began their publishing work together with a humble blog in 2007, which primarily addressed the issues of child abuse, mental health, and healthier lifestyles. A year later, Sarah and Thomas began publishing Naturally Good Magazine for sales in health food stores. In a matter of just months, pharmaceutical industry representatives got Naturally Good Magazine censored from retailers. Simultaneously, a political leftist within their main retailer was also livid, due to the fact that they had cataloged the details of how A.I.D.S. was propagated by specific factors (like the use of nitrite drugs) within the homosexual community. It was their first taste of a string of censorships that were to mark their work in the decade to come. They migrated their operation to the only place where free speech still exists: the Internet, and the Health Wyze website was born in 2009. As the duo continued to relentlessly research, they quickly came to realize that the money of modern medicine is made by keeping patients alive, but barely; whilst keeping the patients increasingly addicted to a plethora of drugs throughout their lifetimes. It was essentially the lesson of how the pharmaceutical industry is as dark as the illegal drug trade is. Alas, this is too complex of a topic to elaborate on here. Although, their explosive book is a great introduction to how the pharmaceutical industry is truly the most corrupt industry of them all. During the past thirteen years of their work together, Thomas and Sarah have saved many lives, and they have never charged a client (patient) for their detective work. Now Sarah and Thomas are progressing toward other pursuits, even though they are still available for those who call upon them. They are currently most interested in the overall mental and spiritual health of their countrymen. Thus, they are producing videos about fundamental morality and politics; especially concerning the issues that are most relevant to the United States of America. This is partly because the U.S. is the nation of their residence; and moreover, America is still the last and best hope for spreading freedom in the world. If America falls, the rest of the world shall assuredly fall into darkness as well. The short answer is everywhere. We have lots of expenses that range from audio equipment, camera equipment, network fees, Internet servers, documentary expenses, travel, utilities, and countless minor emergencies. One way or another, your money will be utilized in helping us to help other people and save the Western World. We are not the American Cancer Society, so donations shall not be spent on purchasing fancy yachts, or another year at the golf course. 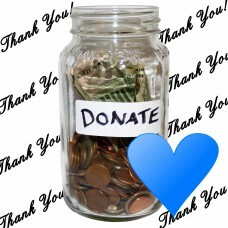 Most of our donors wish to donate anonymously, and we respect that. However, we never forget. For those of you who donate, we'll give you the V.I.P. treatment if you ever need our research services, for whatever ails you. Another way that you can assist is by purchasing items on our Amazon wish list, to have them automatically sent to us. It is a way to know exactly how your donation will be used. Depending on what we need at any given time, the items on the wish list can range from $20 USD to $4,000. This is simply being listed as an alternative way to donate. If you wish to make an old-fashioned donation using a check (cheque), money order, or etc., then the following mailing address may be used. Please do not address anything to 'The Health Wyze Report' or to 'HealthWyze.org', because we are not officially a corporation, and therefore, banks will disregard such documents. Donations should be made to the editor, Thomas Corriher, or to Sarah Corriher. There are plenty of ways to support us. One of the simplest ways to support us is to purchase something from this on-line store. It helps us, and you get something nice in return. If you have your own website, then you could display banners or text promoting us. We have some examples already made. Simply telling your friends and family about us helps too. You could engage with us on social media, and we're always looking for new friends. You could mention us in the signature area of your e-mails. Most e-mail software has a feature that will automatically include a custom signature. If you write to Internet forums, leave comments at other sites, or use social networks, then give us some praise. All of these options are easy and cost nothing, but they will make a big difference in how many people we reach. You really can make a big difference. You should definitely subscribe to our free newsletter. There are plenty of companies that are playing dirty tricks to silence us, such as shadow banning. Signing up to our newsletter is the surest way to stay connected with us, and to reliably get updates about our work.